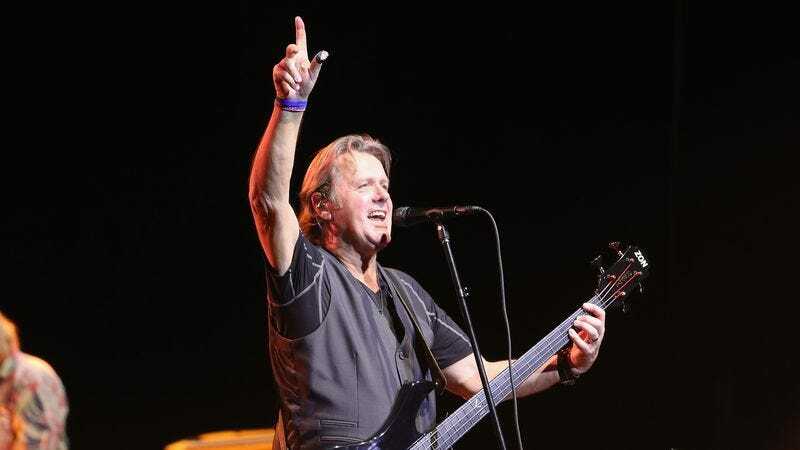 As reported by Rolling Stone, John Wetton has died after a battle with colon cancer. Wetton was a bassist and singer who played with King Crimson and was one of the founding members of supergroup Asia. He was 67. Wetton was raised in Bournemouth, England, and he started playing in various bands at a young age. He would often perform with childhood friend Richard Palmer-James, a musician who would later become famous for writing lyrics to several King Crimson songs. Wetton eventually joined King Crimson himself alongside another longtime friend, Robert Fripp, after playing in a number of British prog-rock bands like Mogul Thrash and Family. Wetton served as the singer, bassist, and composer for King Crimson in 1973 and 1974, appearing on Larks’ Tongues In Aspic, Starless And Bible Black, and Red. Fripp disbanded King Crimson after that, though, leaving Wetton to jump around from various bands. He appeared on a few songs on Brian Eno’s Here Come The Warm Jets and toured with Roxy Music, playing on a few tracks on the 1976 live album Viva!. In 1980, Wetton released a solo album, Caught In The Crossfire, and he then joined up with Carl Palmer, Geoff Downes, and Steve Howe to form the supergroup Asia. The band’s self-titled debut featured the smash-hit “Heat Of The Moment,” which helped propel Asia to a significant level of success right out of the gate. However, the follow-up album, Alpha, was not received nearly as well, and—depending on which story you believe—Wetton was either forced out of the group or quit voluntarily. Either way, Asia continued on without him, though Wetton eventually reunited with Downes under the name iCon and then eventually joined back up with Asia as well. Wetton is survived by his wife, son, and mother.